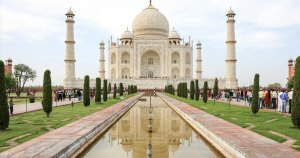 India’s government has continued its “undecided” stance on regulation around the cryptocurrency ecosystem. No timeline was promised by Pon Radhakrishnan, the Minister of State Finance, for enacting legislation, even in the December 28, 2018 meeting. The Indian Government and the domestic cryptocurrency exchanges had always been at odds with each other regarding the regulation of cryptocurrency in India. But even after two years, the Government is yet to clarify its stance on the regulatory policies of cryptocurrency. Not only that, the government doesn’t even have any concrete plans regarding a timeline for finalizing the rules. This announcement comes as no shock for Indian crypto traders as they have already faced a roller coaster of rules and regulations within this span of time. Unfortunately, the uncertainty around regulation will continue to thwart cryptocurrency-related business in an economy of well over a billion people. The Indian crypto exchanges were blindsided by the crackdown by the Reserve Bank of India (RBI) in April 2018. The RBI directive practically prohibited banks from dealing with virtual currency exchanges and traders. This was a crippling move. The virtual money exchanges retorted by filing a case against RBI’s stance in the apex court. This case is still ongoing. Meanwhile, the Supreme court had ordered the government to submit a report on the findings of the government’s virtual currency panel that was formed in December 2017. But with this latest announcement from Pon Radhakrishnan, it is clear that India’s Narendra Modi’s Government is in no rush to dictate the crypto rules, or even give a ballpark figure on when the deadline would be set. For now, it does seem as though this impasse is set to continue even into 2019. The post India Stalls Cryptocurrency Regulations, Uncertainty Continues appeared first on CryptoSlate.